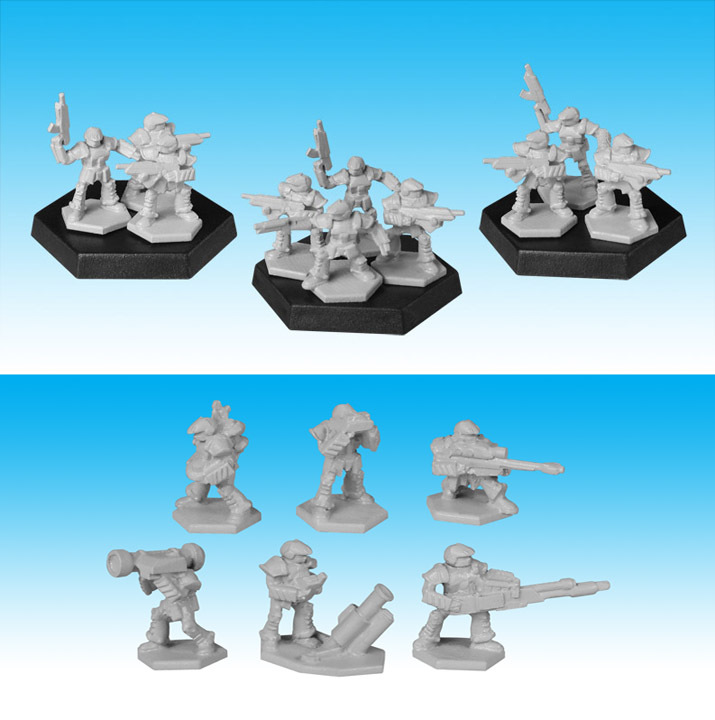 The New Northern Infantry Platoon Pack and Northern Special Infantry Pack are now available for Pre-Order on the Dream Pod 9 Online Store. Pre-Orders will start shipping on July 7th, after the staff is back from vacation. The older northern infantry and heavy infantry platoons have now been permanently removed form sale. Checkout the attached photo showing one squad from the New Sculpt Northern Infantry Platoon primed in grey on hex bases. And below that the six different Northern Special Infantry miniatures primed in grey. We had the mortar re-sculpted a bit smaller, based on feedback from the sneak peek that was show earlier this year, we hope you all like it. Here is a link to the Northern Miniatures Section of the online store, the new infantry are in the #2 & 3 slots for those interested.